Join the Woman To Woman Campaign ? Food Bank For New York City’s annual women’s campaign helps to address the critical needs of the women and girls we serve. This year, we’re partnering with Chef/Author and Board Member Katie Lee to raise awareness and financial support to ensure that all women and girls can obtain these basic necessities. 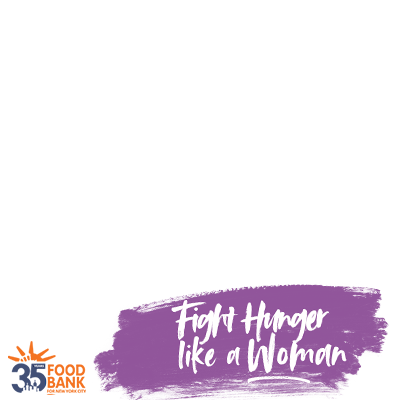 Food Bank For New York City's Woman to Woman campaign helps to address the critical needs of the women and girls we serve. This year, we’re partnering with Chef/Author and Board Member Katie Lee to raise awareness and financial support to ensure that all women and girls can obtain these basic necessities.